ROCKY MOUNTAIN RADAR releases information on its new subscription formula which protects drivers without ever needing to buy another radar detector and that will change things in the Automotive Consumer electronics space for the better. Further information can be found at https://rockymountainradar.com. Earlier today, Rocky Mountain Radar announced the launch of RMR-ELITE, its Revolutionary new subscription formula that protects drivers without ever buying another radar detector, and set to go live 02-01-19. For anyone with even a passing interest in the world of Automotive consumer electronics, this launch will be worth paying attention to, as it’s set to shake things up. Currently all other radar detector manufacturers sell their products with a 1-year warranty and for prices up to $649.95. Rocky Mountain Radar has always sold our superior technology for less than $399.95 with a 3-year warranty. We could afford this due to stringent quality control and Made in USA. With 30 years experience in radar detection, we determined that we could provide the same world-class performance for a low monthly fee, an offer unheard of in the detector industry.. The Founder of Rocky Mountain Radar, Michael Churchman, makes a point of saying “things are going to change when RMR-ELITE launches”. ROCKY MOUNTAIN RADAR was established in El Paso, Texas and has over 30 years experience in the detector industry and in defense electronic warfare. For the last 30 years it has always aimed to protect the consumer from confiscatory speeding traps around the world. Currently, there is nothing even close to this new product. There are no other subscription options in the market. Other radar detectors suffer from high false alarm rates and are vulnerable to instant-on radar. Our product improves on this by scrambling the radar, effectively disabling it temporarily to give you time to adjust your speed, if needed; further it has the lowest false alarm rate in the industry, while still having the best range (5-miles), the best warranty and the ONLY ticket rebate. Now, with the RMR-Elite, this technology is affordable for all drivers.. 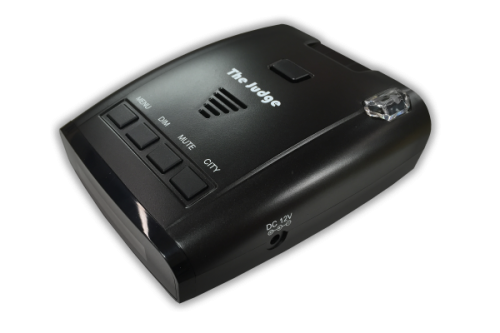 This alone is predicted to make Rocky Mountain Radar’s revolutionary subscription formula (that protects drivers without ever buying another radar detector) more popular with customers in the Automotive Consumer electronics space, quickly.